Two psychotic brothers are on a rampage to fulfill their fantasies of murder but at what cost? Are they willing to give up their close bond of brotherhood? It's that bond that sits at the center of Jose Prendes' The Divine Tragedies, a low-budget offering from the producing team of brothers Jon and James Kondelik. The movie, starring Graham Denman and Jon Kondelik as the brothers, is quite obviously an indie production but man, there's a great energy to this trailer and if you can overlook some mediocre special effects, this looks like a promising mind bender of a little horror movie. 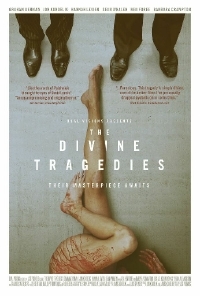 The Divine Tragedies is currently in post production.